At the age of 19, Yakob Debesay has made a name for himself in this Eritrean cycling that is used to producing young talents every year on the African circuit and even at a world level like Daniel Teklehaimanot wearing the polka dot jersey on the Tour de France. France 2015 or Merhawi Kudus (Astana) and Natnael Berhane (Cofidis) . He is the youngest of five siblings whose best-known rider, Mekseb Debesay, raced last year in World Tour at Dimension Data. 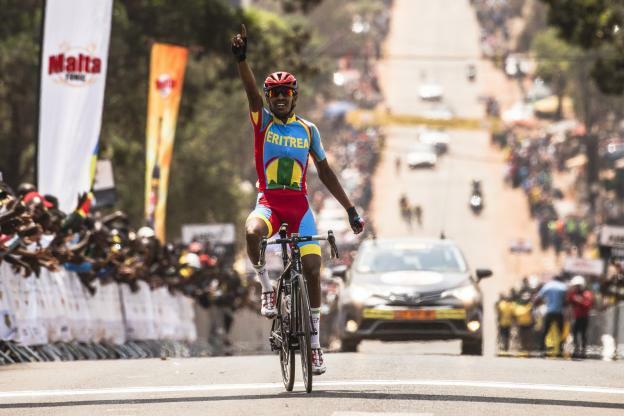 The leader of the Eritrean hopeful team was never worried during this week in Cameroon, where for the second consecutive year the Tour de l'Espoir was held, the first of seven rounds of the UCI Youth Cup Nations Cup. under 23 years old, where famous events such as the Tour of Flanders, Ghent-Wevelgem, the Peace Race and of course the most prestigious event, the Tour de l'Avenir, are also scheduled. Eritrea, winner of three stages out of five (the last this Saturday was won by Rwandan Moise Mugisha) has thus obtained a wild card for the Tour de l'Avenir as a victorious nation in the team classification of the Tour de France. Hope, as was the case for Rwanda last year. With the Tropicale Amissa Bongo in Gabonand the Tour of Rwanda both ranked in 2.1 on the UCI calendar, the U23 Tour de l'Espoir organized by Vivendi Sports is part of the long march to help develop African cycling.